In this blog, we’ll look at the MySQL 5.7 document store feature, and how it is implemented. Peter already wrote the document store overview; in this post, I will look deeper into the document store implementation. In my next post, I will demonstrate how to use document store for Internet of Things (IoT) and event logging. Older MySQL 5.7 versions already have a JSON data type, and an ability to create virtual columns that can be indexed. The new document store feature is based on the JSON datatype. So what is the document store anyway? 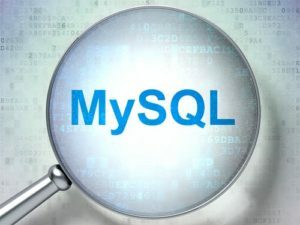 It is an add-on to a normal MySQL table with a JSON field. Let’s take a deep dive into it and see how it works. Enable X Plugin and install MySQL shell. Type 'help', 'h' or '?' for help. So the document store is actually an InnoDB table with one field: doc json + Primary key, which is a generated column. That is really cool! We have added an index, and now the original query starts using it. Note that we do not have to reference the new field, the MySQL optimizer is smart enough to translate the (JSON_EXTRACT(doc,'$.Name') = 'United States' to an index scan on the virtual column. But please note: JSON attributes are case-sensitive. If you will use (doc,'$.name') instead of (doc,'$.Name') it will not generate an error, but will simply break the search and all queries looking for “Name” will return 0 rows. Document store is an interesting concept and a good add-on on top of the existing MySQL JSON feature. Using the new .find/.add/.modify methods instead of the original SQL statements can be convenient in some cases. You already have a JSON (i.e., from external feeds) and need to store it anyway. Using the JSON datatype will be more convenient and more efficient. You have a flexible schema, typical for the Internet of Things for example, where some sensors might only send temperature data, some might send temperature/humidity/light (but light information is only recorded during the day), etc. Storing it in the JSON format can be more convenient so that you do not have to declare all possible fields in advance, and do not have to run “alter table” if a new sensor starts sending new types of data. In the next two blog posts, I will show how to use document store for Internet of Things / event streaming, and how to use X Protocol for asynchronous queries in MySQL. Is there a possibility to integrate stored procedures with this new JSON interface to simulate a database API layer? Because that can possibly cut out a lot of work for developers. I have to find data by id.. But my id does not exist.. so it is giving timeout error.. If I want to modify multiple fields instead of just one field, how should I do it?